Do you need a little more motivation in your life? Do you need a kick-start when faced with challenging tasks? Could you benefit from additional daily motivation?How to Increase Your Motivation with Hypnosis is one of the latest recordings from Benjamin Bonetti. Within this hypnotic recording Benjamin utilises his advanced hypnotic techniques to turn up your motivational thermostat and increase your natural ability to complete even the most challenging of tasks. 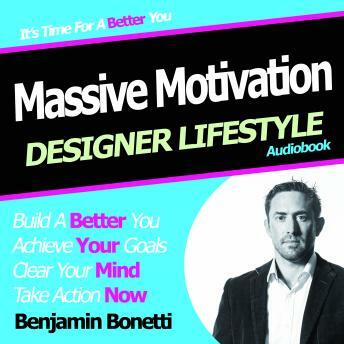 Benjamin Bonetti’s Designer Lifestyle Range has been specifically developed for those looking to build a successful, confident and highly motivated lifestyle. Each product within the 10 part series offer a number of suitable solutions to social issues, pressures and concerns.Within these linguistically encrypted audios Bonetti utilises the power of hypnosis to open up and remove restricted beliefs, empower thoughts and massively increase your ability to achieve the lifestyle you want.